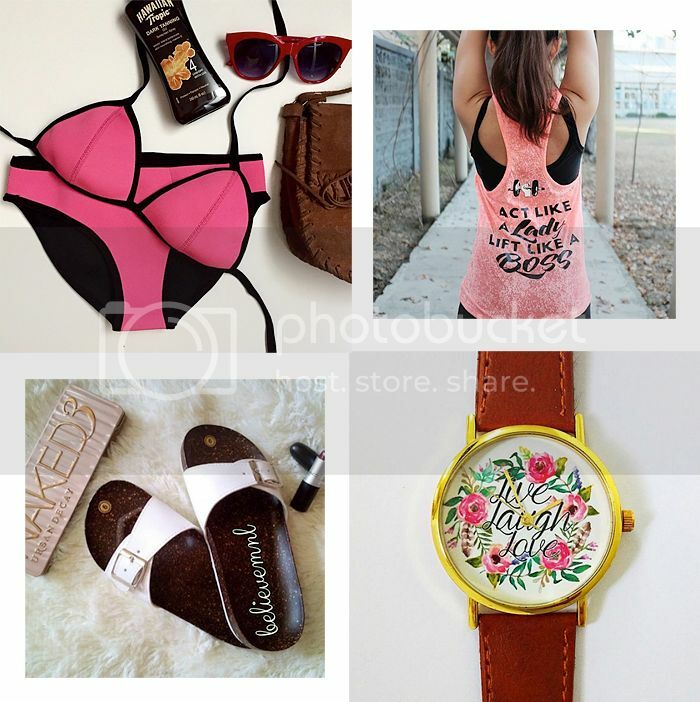 What better way to bid summer adieu than with a shopping spree! This also marks the first time my brand, Effy, will be joining a bazaar. 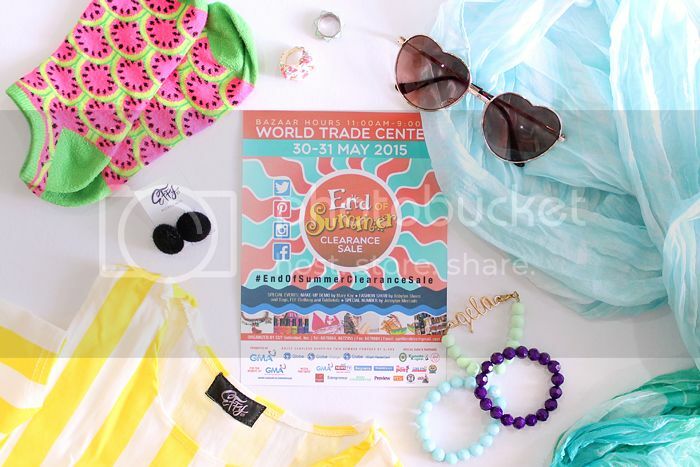 The End of Summer Clearance Sale (brought to you by the great minds behind the Noel Bazaar series) is happening next weekend, May 30-31, at the World Trade Center from 10 AM – 9 PM. I promise that there’s so much to see, do, and of course, buy! If you have been to a bazaar before, you’ll probably know what I mean – shoes, clothes, bags, food, and a whole lot more! Plus, it’s a clearance sale aka hooray for great deals next weekend! I suggest that you save up for some shopping money STAT! Hehe! 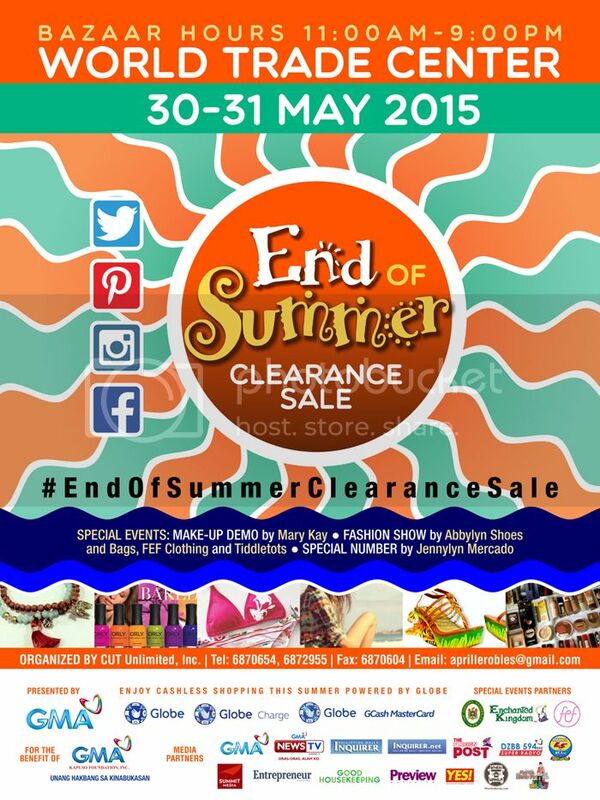 The End of Summer Clearance Sale Bazaar is supported by the GMA Network, GMA News TV, the Philippine Daily Inquirer, 97.1 LS FM and DZBB, Globe, Globe Charge and Globe GCash MasterCard and Summit Media’s Entrepreneur, Good Housekeeping, Yes and Preview Magazines. For more information, you may call the organizers at 687.0654, 687.0604 or email aprillerobles@gmail.com or follow them using @heatwavesummerbazaar on Facebook and Instagram.